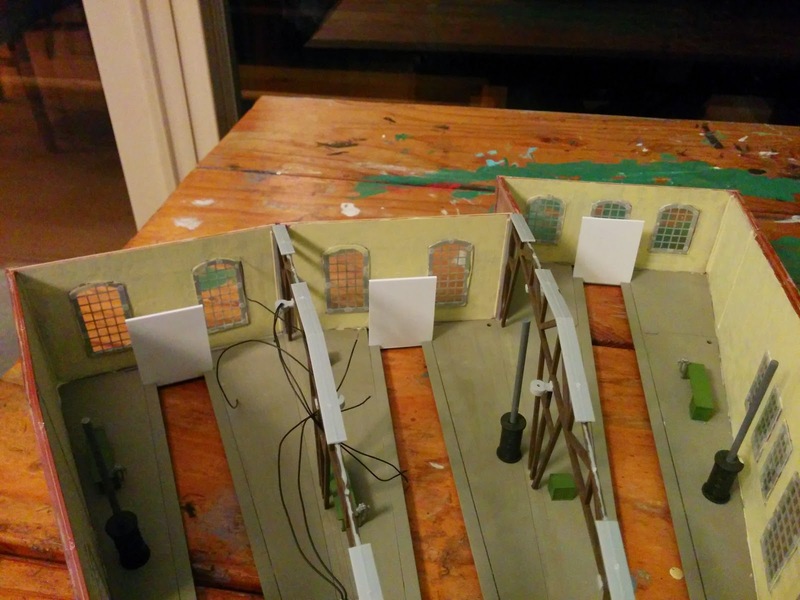 This weekend I spent a little bit time to put together the mechanics for the roundhouse doors. As mentioned before, I want the doors to open and close independently from moving a locomotive. I replaced the supplied spring-loaded mechanism with Micro RC servos. 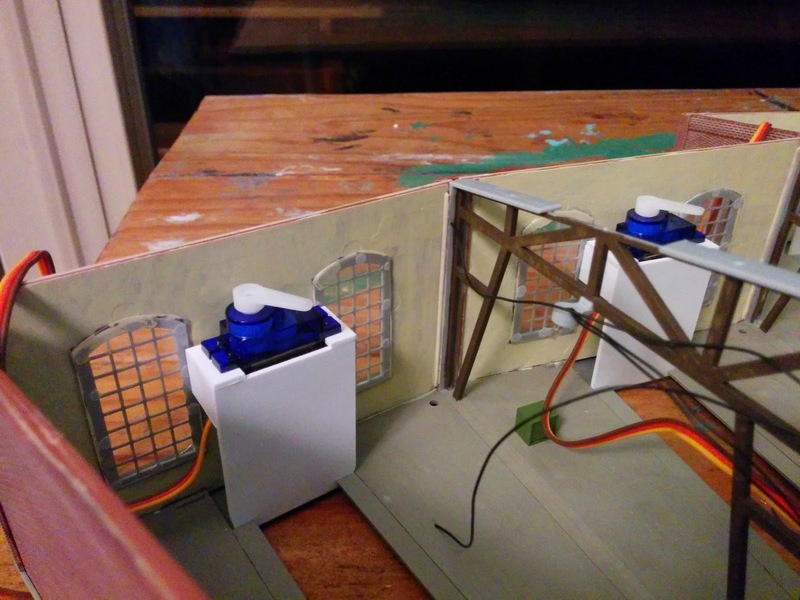 The servos are mounted in a scratch-built support structure made from 1/8th inch styrene. 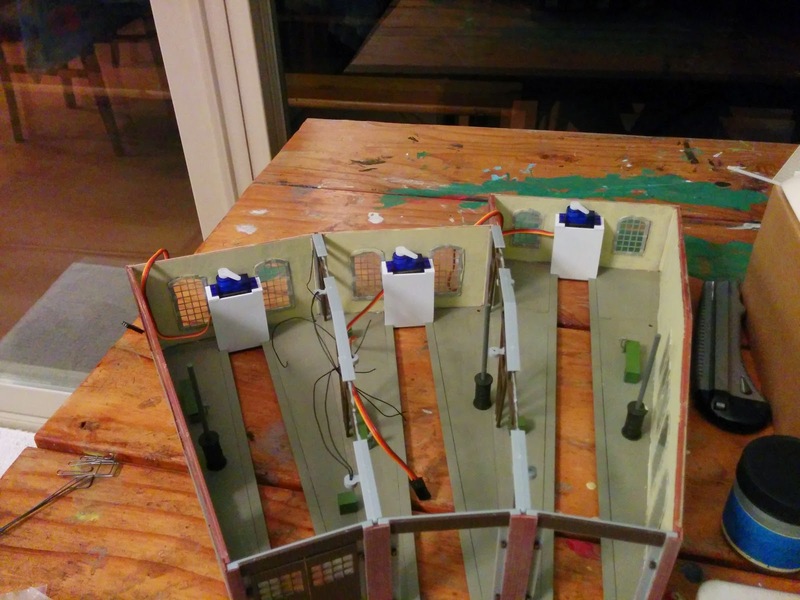 I spray-painted the styrene pieces, mounted the servos, and fit the piano wire in place. The video at the top of this post shows the result. When installed on the layout the cables will leave the roundhouse through hidden holes in the roundhouse floor and the decoder mounted underneath.